The Great War Remembrance Race.The Great War Remembrance Race (GWRR) will entice cycling fans from Belgium and abroad to visit the beautiful Westhoek area for a unique racing experience with international allure: a combination of history and cycle racing. This one-day competition will become a sports highlight of the autumn season, a first-class event to suitably honour the sports heroes of today and the heroes of the Great War who gave their lives for our freedom. Through the organisation of this new one-day competition (Category 1.1), Flanders Classics and the Ghent-Wevelgem Organisation have a clear goal in mind: to expand the international cycling calendar with a renowned classic. 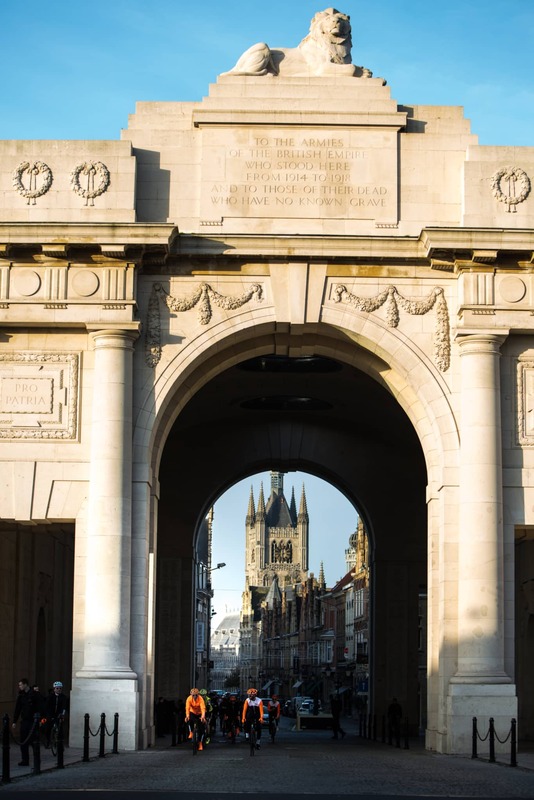 Although this first edition of the Great War Remembrance Race is intended to commemorate the ending of the First World War 100 years ago, this race is also intended to safeguard continuing awareness of this historic war, so that we will never forget. Or as Rudyard Kipling expressed it in his poem: "Lest we forget…"
TIP: Combine this with riding the Heuvelland Hellingen Route HHR40 on Saturday and participate in the Great War Remembrance Sportive on Sunday.